As I mentioned in one of my earlier post, what happened in New York on the March 10 will be regarded as a black day in the history of Tibetan American. Nevertheless, after the event, people still had a good hope - believing that it was just one black day which will fade away into the darkness soon. However, after more than a month, the damage inflicted by this unfortunate event seems to exacerbate with each passing day. Now, there is a bitterness in the environment in which Tibetans in New York breathe. There is a growing discomfort to publicly share your views and opinions. The topic of politics has become a taboo. Everyone wants to be a part of politics but no one wants to touch it. Politics is considered dirty and dangerous. Tibetans hesitate in shaking hand with another fellow Tibetan. Tibetans have started to boycott businesses that doesn't align with their political ideology. Everything seems to be falling apart. The leaders or activists keep blaming the general masses for the growing cracks in the unity of Tibetan people. 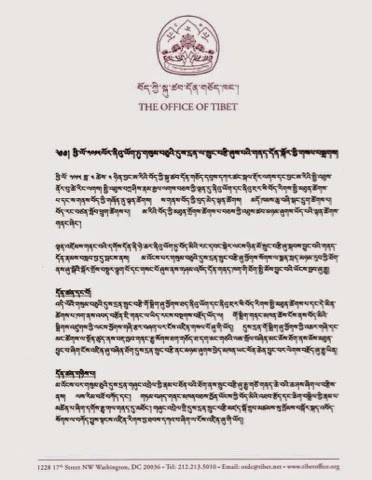 However, according to me, Tibetan leaderships - ranging from tiny organization to Central Tibetan Administration - have failed in bringing the necessary resolution to the March 10 incident and in providing right direction for the stability of Tibetan community in New York and New Jersey. 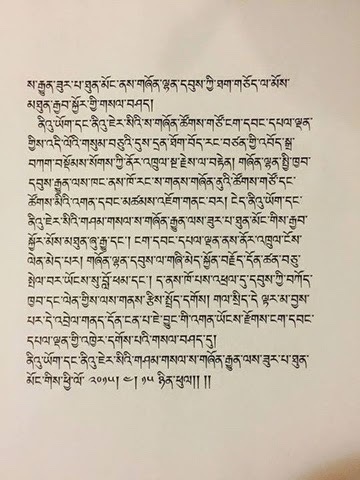 Based on what happened after the March 10 event, here is my brief analysis of organizational leaders who have failed in bringing peace, calm and unity in the heart of Tibetan people in New York and New Jersey. It seems that the need and significance of this organization is irrelevant in its present form. For the public interest, this organization should be dissolved by its current leader. 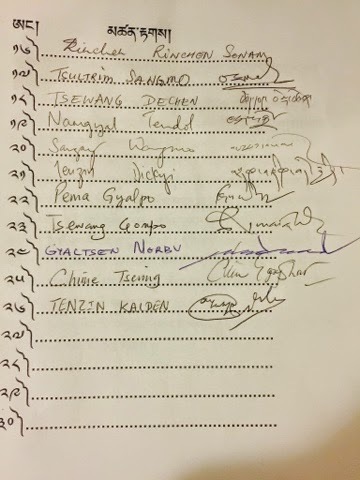 Elected leaders from these organizations have failed to accommodate the feelings and sentiments of people supporting Students for Free Tibet. If these leaders acted in the interest of maintaining calm and unity among Tibetan people, the March 10 incident would have been avoided. Moreover, there were serious misunderstandings among the March 10 Organizing Committee. Vagueness in the meeting minutes has sparked the problem which resulted as a fire on the streets of New York on March 10. After the March 10 incident, these leaders used public spaces to prove their point right. This act disrupted the feelings of general public resulting in many baseless accusations and blame-game on the social media networks. 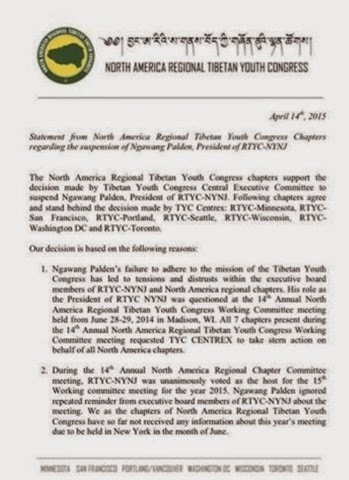 In addition to earlier para on the Match 10 event, RTYC NYNJ leaders have failed to sort out their internal differences with the Centrex (Tibetan Youth Congress based in Dharamsala, India) which resulted in the suspension of its president. Moreover, the widening cracks within RTYC NYNJ executive members was evident at the recently concluded election where two lists of nomination were shared to influence the general public. If you have followed the social media, you are the living witness of these differences which erupted out of anger, fear and frustration. It seems SFT has moved from its status of "Tibet Support Group" to "Tibetan political organization". Recently, they were heavily involved in the internal politics of Tibetan freedom movement. Unlike previous RTYC NYNJ election, many SFT supporters came to vote this time to make sure the candidates supporting independence get their vote counts. However, the disturbing part is when they left in a group - representing SFT - after the first election results without caring for the next election round of president, vice president and general secretary. This walk out was done in front of the general public; and many would count this act as a disrespectful gesture from SFT as an organization. SFT, an organization of educated members, should have respected the results of this democratic process by staying till the end of election. Moreover, their leaders did not learn on the importance of seeking clarity whenever there is an inter-organizational meeting. 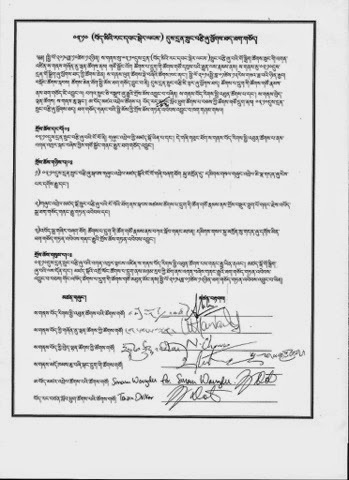 They have issued two rebuttal statements: one for the March 10 organizing committee and another for the Office of Tibet, Washington DC. One mistake is understandable but twice within two months shows a lack of leadership abilities. If SFT starts to involve too much in the internal politics of Tibetan freedom movement, it will not be far to see a growing crack within its chapters. What happened to Tibetan Youth Congress is a good lesson to learn. 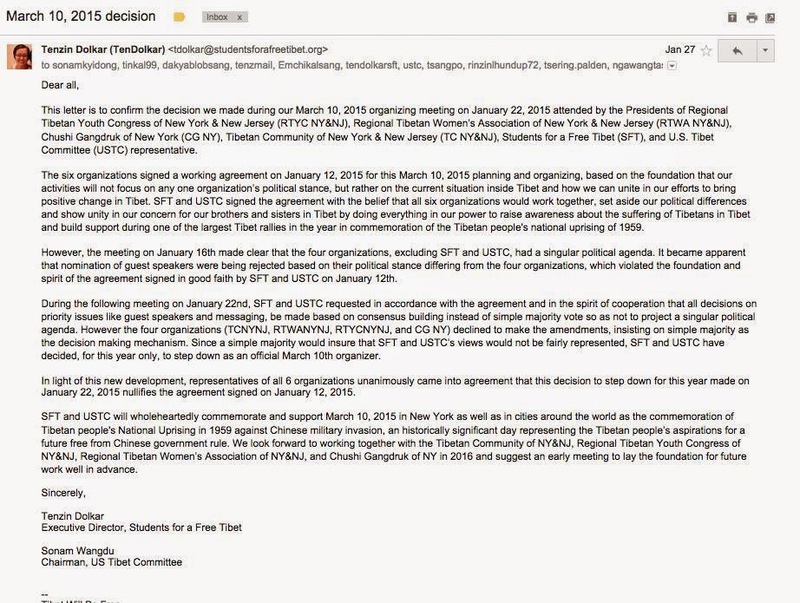 If the outcome of the April 4th meeting has to come out as a statement signed only by the representative of OOT, they should not have organized this meeting in the first place. The representative and two elected members of parliament should have taken this meeting at its highest importance to ensure no further disruption of public sentiments. They are looked up by Tibetan people as problem solvers and ultimate care takers. They should have conducted this meeting in the most professional manner by having agendas and resolutions. Also, the meeting minutes should have been signed by all concerned parties. This would have definitely negated the chances of rebuttal letter from SFT and USTC. Now, the problem of March 10 remains unsolved. Rather, the problem has got bigger and heavier with this failed meeting. It is clear that the centrex difference of expectations with RTYC NYNJ executive members were going on for more than a year. Then, the question is - why did the centrex suspended RTYC NYNJ president when the election is just round the corner i.e., within two weeks? This decision was a blunder which led to more division among the general public - one group of individuals and several North American RTYC chapters started to support the decision while another group started to vent their anger against this badly timed decision. This decision also back fired if you look at the results of recently concluded RTYC NYNJ election. The general public of New York New Jersey has slapped the centrex in a manner that is hard and loud. Most importantly, the leadership at centrex needs to work on realigning its four aims and objectives. I wrote about this four years ago. Here is link to read the piece. The current administration led by Sikyong Lobsang Sangay won the general election on the ground of three guiding principles - one was for Unity. 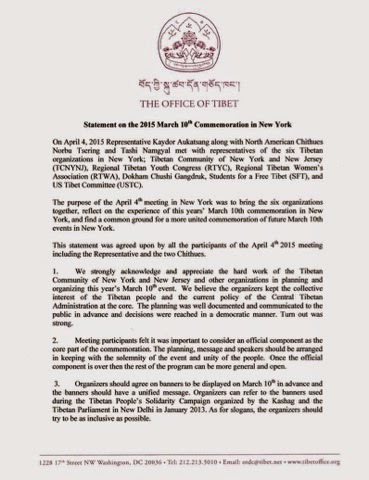 However, as far as I know, since the March 10 event in New York there was not even a "single word" coming from CTA that intends to pass on the important message of staying united despite having ideological differences among Tibetan population in New York and New Jersey. The CTA leadership has failed to act on time to qualm the growing disunity of its people in New York and New Jersey. People are looking up at CTA to find the meaning of unity while CTA is busy in addressing China on its White Paper. Without unity, there will be no China for Tibetan people in diaspora. They will just be busy in slinging mud on each other faces. Though its been more than a month since the March 10 event in New York, many Tibetans still believe in the importance of staying united in both good and difficult times. However, with no visionary leadership at its forefront, it seems everyone is just hanging on to the hope factor. It is still not late for these leaders to act in unison by keeping aside their personal agendas, egos, feelings and emotions. 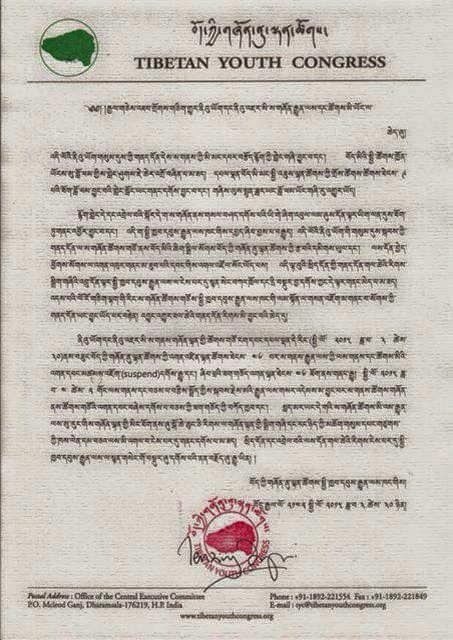 Its the time that Tibetan organizations work for the Tibetan people and not for its leaders. Note: If interested in reading documents that were cited in this piece, please scroll down to read each of them.